Sarah has been a Registered Nurse since 2008 and has post graduate training in Advanced Nurse Practice at Birmingham City University. 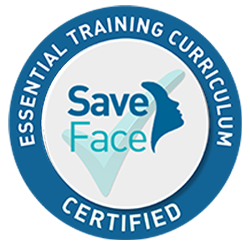 Sarah is also an Independent Nurse Prescriber and trained in anti wrinkle injection techniques and dermal fillers at Cosmetic Courses, which the UK’s longest established provider of anti wrinkle training. Sarah currently practices as a Lead Clinical Nurse Specialist within the neuro-developmental field and as a Practice Nurse in a GP surgery alongside running Sarah Hamilton: Medical Aesthetics and prides herself with undertaking ongoing training and continuing professional development to keep herself up to date in practice. 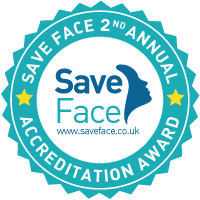 Sarah is also a member of the British Association of Cosmetic Nurses (BCAN) and authorised practitioner of THE PERFECT PEEL. Sarah is extremely professional and helpful. I am very pleased with the results, I will definitely be using again. Sarah has such a breadth and depth of knowledge and experience not only are you in safe hands, she understands where you want to get to and helps you achieve your goals. Sarah made me feel very comfortable from the start. She explained the risks & expectations of the procedure (lip filler) thoroughly. I felt like I was in good hands throughout the procedure. I also felt confident that Sarah would address any side affects that might have occurred. I’m very happy with the results & can’t wait for my follow up in a couple of weeks. As a nervous first timer to fillers, I was very cautious and wary , but on meeting Sarah i was instantly reassured of being in very safe and capable hands. Her professionalism and the time she took to talk through and explain absolutely everything including all the different options was exceptional. No hard sell, no gimics just a genuine lady who is passionate about her work and who is a credit to the industry. She operates a policy of natural enhancement with the option of increasing as, when and if needed so you feel very much in control. I relied on her valuable knowledge and expertise and can happily say I have the results i was so hoping for. Her aftercare is also excellent with follow up contact and again this is why i can without hesitation recommend Sarah and her services… i guarantee if you are considering any form of procedure and have any concerns or worries then this is the place to go !! I suffer with severe acne and stubborn scars. After the first perfect peel the skin was smoother and scars almost gone. No need for any makeup. I would highly recommened this peel to anyone with any skin condition. Lovely lady and great results. Sarah was brilliant, I was provided with a lot of treatment information, and was made to feel at ease. Really happy with the results. I received an anti wrinkle injection in my forehead and was more then happy with the results and the service.